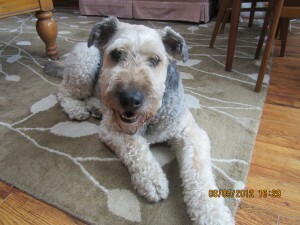 Gentle Ben is Looking for a Home! Gentle Ben appears to have found his new home and will be adopted shortly! Congratulations to this nice boy and to his new family! Looking for a new buddy? Here’s Gentle Ben who’s eager to have a new home and family! Hi there! My name is BEN! 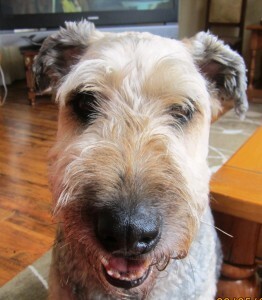 Ben is a beautiful, very gentle boy, seven years old, who came to AireCanada when his owner wanted to travel. We nicknamed him the “gentle giant” because he is a big boy. Ben has lots of Airedale attitude, a dark saddle, and Airedale size but his lovely coat is very soft and woolly. 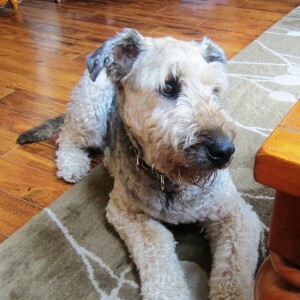 We believe he is that rarity we occasionally see — a sheep-coated Airedale! Truly I am a very gentle fellow! 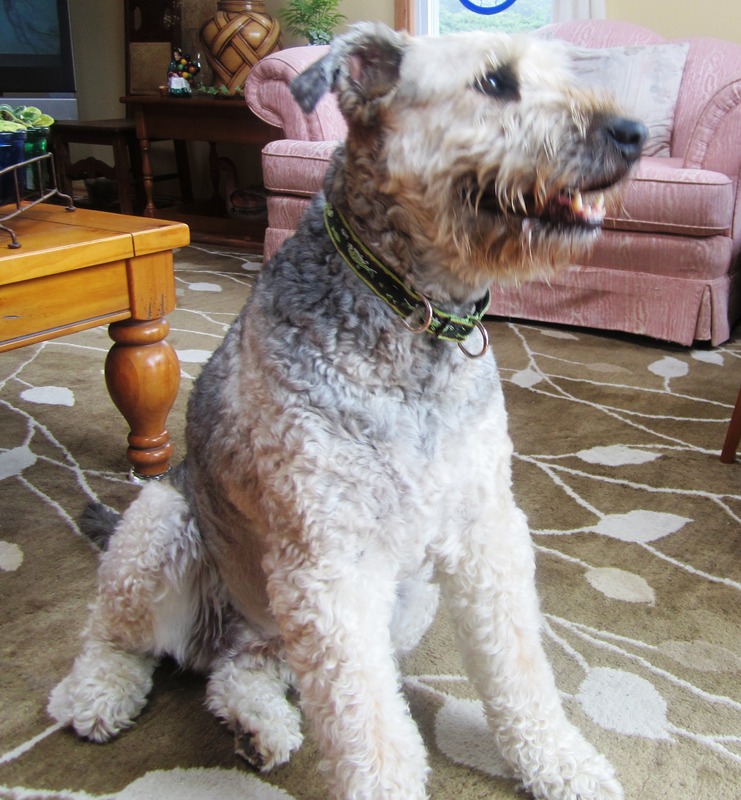 Poor Ben was grossly overweight and had an open sore on his nether regions as well as two large lumps on his chest and side when he was taken into AireCanada’s care. As a result, he has been checked and treated by a vet. The open sore on his back was medicated and is healing. He is eating a home cooked diet at his foster home. As a result of the diet, he has lost approximately 12 pounds. The lumps have reduced in size considerably and the consensus is that they are fatty cysts. Ben knows basic obedience commands, was apparently never let on the furniture and doesn’t beg for food. He is very timid, was possibly mistreated and seems wary of men but still maintains a gentleness that is amazing and wonderful. He is great with children and lived with a cat. He finds them interesting but would probably chase if the cat ran. Please, could I come home with you?